YG3 15.10~15.30 92.5 1700 Superior wear resistance only less than YG3X, sensitive to impact and vibration, suitable for cast non-ferrous metal and its alloy finish turning, semi-finish turning, thread finish turning and hole expanding. YG3X 15.10~15.30 93.6 1450 Best wear resistance in Tungeten and Cobalt alooy, but not good in anti-impact proprety, suitable for cast iron, non-ferrous and alloy, quenched steel, alloy steel small cutting section machining at high speed. YG6 14.80~15.00 91.1 2100 High wear resistance but less than YG3, better anti-impact and anti-vibration than YG3X, Suitable for cast iron, non-ferrous and alloy, non-metal material semi-finish machining and finish machining. YG6X 14.80~15.00 92.4 2000 Belong to small granule Tungsten carbide alloy, wear resistance higher than YG6. Suitable for machining cold and hard alloy cast iron and heat resistance alloy steel, as well as finish machiing for normal cast iron. YG8 14.6~14.80 90.5 2300 High bending strength resistance, better anti-impact and anti-vibration than YG6, suitable for cast iron, non-ferrous and alloy, non-metal material rough machining at low speed. 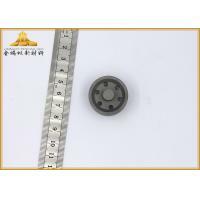 Zhuzhou Golden Ants tungsten carbide tools , made from 100% virgin raw materials. It can be used in wide application field. Zhuzhou Golden Ants tungsten carbide tools , good red hardness,excellent wear-resistance, high elastic modulus and compressive strength. 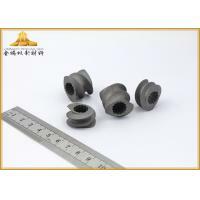 The chemical properties of our tungsten carbide tools is stable, also the impact toughness & dialatation coefficient is low. 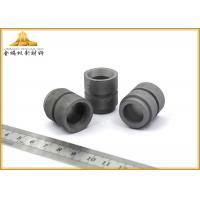 The heat-conducting property and electrical conductivity of tungsten carbide tip is close to iron or iron alloy. It is a very good material to produce the parts to resist high temperature & corrosion, also it is widely used as wear parts and shielding parts. 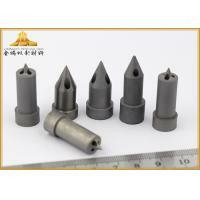 We provide you tungsten carbide tools which can enhance your productivity and save your cost. 2. Small order is also welcomed. 3. We have more than 10 years experience. 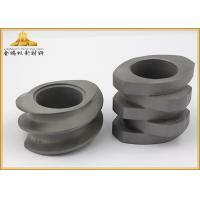 1.100% raw material to produce tungsten carbide products. These performance enhancements combine to make the entire cutting process more cost-effective. 1> 24 hours technical support by Email or Calling. 2> Maintenance and technological support: Whole life. 3> Engineers available to service machinery overseas. A: We are manufacturer of tungsten carbide since 2006. 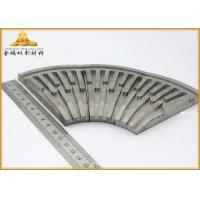 We can supply 20 tons tungsten carbide product per month. 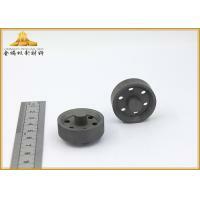 We can provide customized carbide products as per your requirements. A: Generally,it will take 7 to 25 days after order confirm.The specific delivery time depends on the specific product and the quantity you needed. Q: Do you provide samples? iIs it free or charged? A:Yes, we can offer a sample for free charge but the freight is at customers’ cost. A: Yes, we will do 100% test on our cemented carbide products before delivery. Zhuzhou Golden Ants New Material Co.,Ltd is a high-tech enterprise that uses the new MIM process to produce non-standard shaped carbide products. We use technological innovation as a means; with scientific management as the guarantee, we will continue to meet the design-oriented private enterprises.In the market competition, we are moving forward and growing, becoming the vanguard in the field of non-standard shaped carbide production. Our company mainly produces: hard alloy shaped wear parts with large size and high complexity; various alloy nozzles with high wear resistance, high temperature resistance and corrosion resistance; alloy thimbles with various shapes and high precision, ejector pins;Acid and alkali resistant, high temperature resistant valve core and valve seat of various sizes. Products are widely used in petrochemical, mining machinery, metal smelting, energy conservation and environmental protection, electronics manufacturing, food processing, paper and aviation. Our products are famous for their unique craftsmanship, complex shape and high quality. Our products are sold well in more than ten countries and regions in Europe and America.